the owner or operator of a motor vehicle shall not be liable for any damages to any passenger or person related to such owner or operator as spouse or within the second degree of consanguinity or affinity who is riding in such motor vehicle as a guest or by invitation and not for hire, unless such damages is caused by (1) the driver of such motor vehicle being under the influence of intoxicating liquor or (2) the gross negligence of the owner or operator in the operation of such motor vehicle. For the purpose of this section, the term guest is hereby defined as being a person who accepts a ride in any motor vehicle without giving compensation therefore but shall not be construed to apply to or include any such passenger in a motor vehicle being demonstrated to such passenger as a prospective purchaser. Relationship by consanguinity or affinity within the second degree shall include parents, grandparents, children, grandchildren, and brothers and sisters. Should the marriage of the driver or owner be terminated by death or dissolution, the affinal relationship with the blood kindred of his or her spouse shall be deemed to continue. The guest passenger statute has been found by the Supreme Court of Nebraska to be constitutional. See Le v. Lautrup, 271 Neb. 931 (2006). Such constitutional challenge involved a challenge on the basis of due process, equal protection, and the special privileges and immunities clause of the Nebraska Constitution. Id. at 935. The court addressed the due process and special privileges and immunities challenges in short accord, but spent more time in addressing the equal protection challenge. Id. at 935. In finding that the state had a rational basis for enacting the statute, that of the prevention of family collusion and fraud, the Court referred to an Indiana Court of Appeals opinion. The legislature may have perceived a greater risk of collusive lawsuits among family members, than among mere acquaintances. Also, a jury may be particularly inclined to indulge in the “Robin Hood” tactic of robbing from the “rich” insurance companies to give to the “poor” victims where the parties are from the same family. Other than constitutional challenges, the litigation with regard to the application of this statute happens most often in the context of exactly what the term “gross negligence” means. Gross negligence is a moving target. It must be borne in mind, always, that no decision on gross negligence can constitute an absolute precedent in any other case. Each case necessarily differs somewhat in its particular facts and circumstances, and in the composite which results from them. A dissection of the individual facts may, therefore, be misleading, because, in the attempted segregation, part of their real significance may become lost. While it may be regrettable that no perfect yardstick for measuring gross negligence has ever been devised, the numerous decisions, which the guest statutes have produced, seem rather clearly to demonstrate that this is as close to possible to come to a judicial solution. 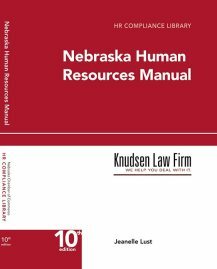 Klundt v. Karr, 261 Neb. 577, 582, 624 N.W.2d 30, 34 (2001) (quoting Liston v. Bradshaw, 202 Neb. 272, 275 N.W.2d 59 (1979)). The Court acknowledged that most of the cases brought under § 25-21,237 and its predecessor dealt with intoxication, speed, failure to maintain lookout, and failure to control. See Klundt, 261 Neb. at 583-5, 624 N.W.2d at 34-5 (citing Larson v. Storm, 137 Neb. 420, 289 N.W.2d 782 (1940) (plaintiff’s complaint that defendant was driving too fast, coupled with accident occurring when defendant hit a cement pipe after failing to make a slight turn, left question as to gross negligence); Jennings v. Lowrey, 168 Neb. 831, 97 N.W.2d 345 (1959) (reasonable minds could differ as to whether defendant’s actions in driving in excess of 60 to 70 m.p.h. around a curve in the middle of the night, causing the car to leave the road and roll, was gross negligence); Demont v. Mattson, 177 Neb. 277, 196 N.W.2d 190 (1972) (it was a jury question as to whether defendant’s driving down a hill on a winding, narrow, and unlighted road at 50 m.p.h., missing a turn, a hitting an embankment was gross negligence); Jones v. Foutch, 203 Neb. 246, 278 N.W.2d 572 (1979) (gross negligence found when unlicensed motorcyclist accelerated to 20 m.p.h. over the speed limit, in heavy traffic, driving between lanes and between cars, finally resulting in an accident when he failed to slow down for a turn despite plaintiff’s warnings)).